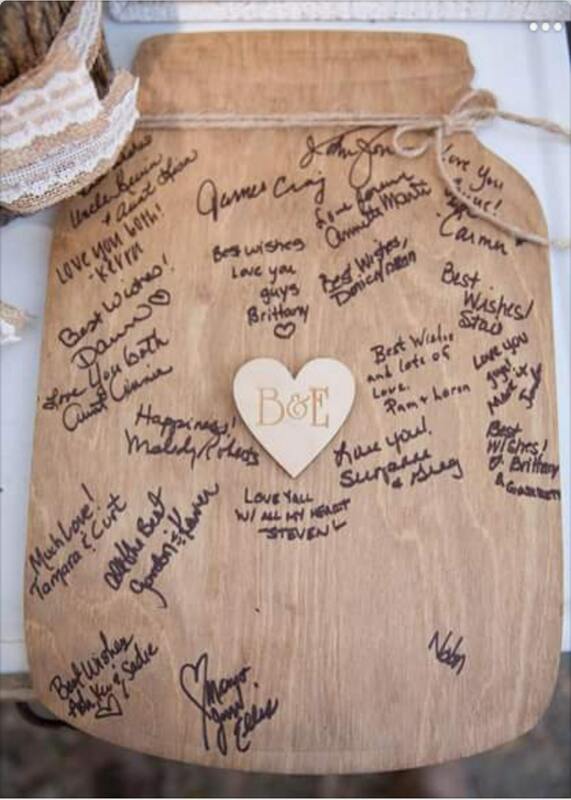 This mason jar shaped wood board would make a great alternative to your typical guest book. 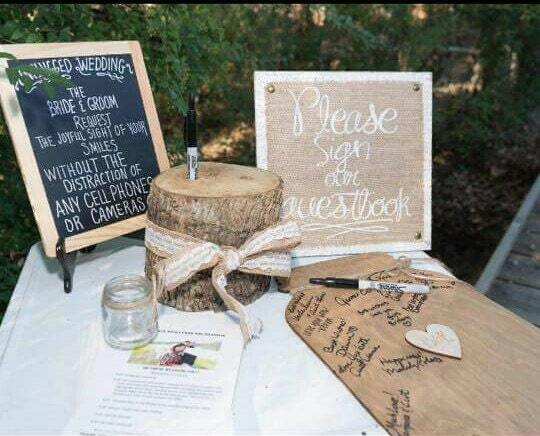 You can have your guests sign this mason jar shaped board and display it..! 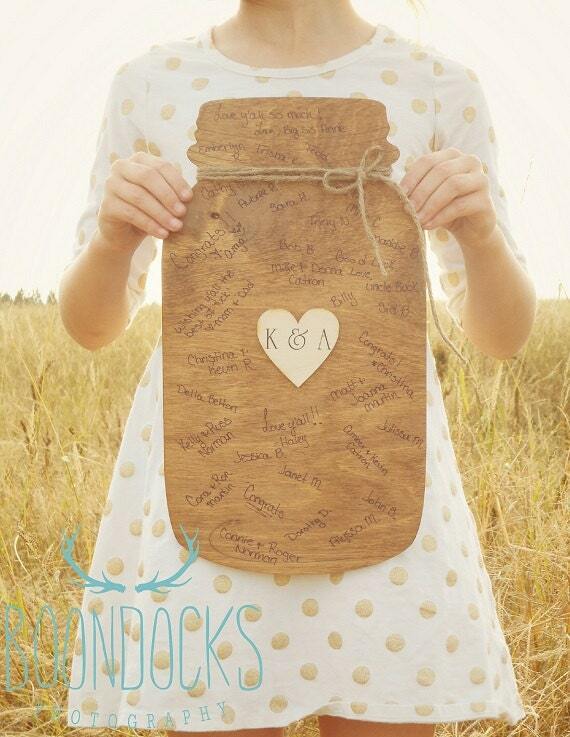 ♥ Laser cut natural wood heart w/engraved initials. 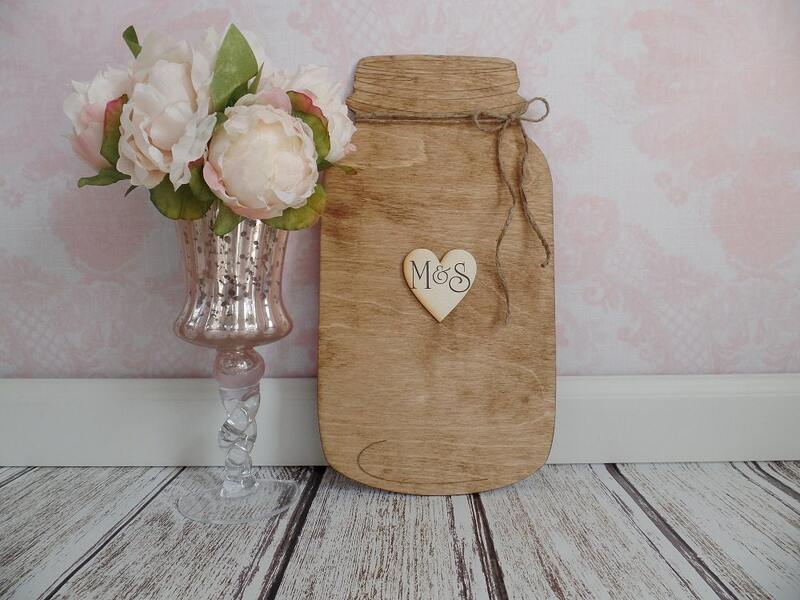 ♥ Heart measures: 2.5" x 2.5"
Super cute alternative for a guest book! I love how quickly my order was shipped. It was even better looking in person. 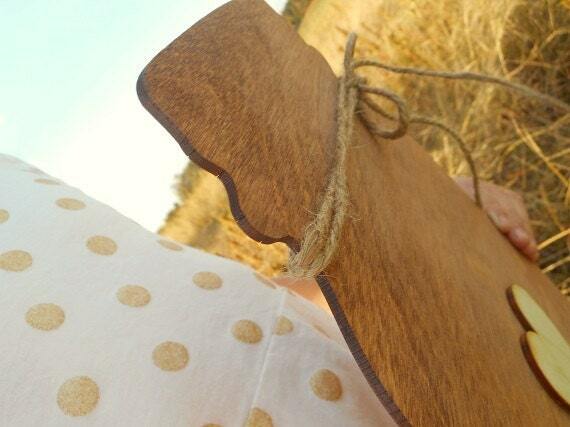 I am very pleased with my products that I ordered from Down in the Boondocks!